The BBE Mind Bender successfully combines two pedals into one vibrato/chorus that leaves a small footprint on your pedalboard. With a Bucket Brigade Delay circuit to make a lush chorus and a classic vibrato sound, the Mind Bender delivers both consistency and ruggedness as well as that elusive vintage analog chorus/vibrato sound. 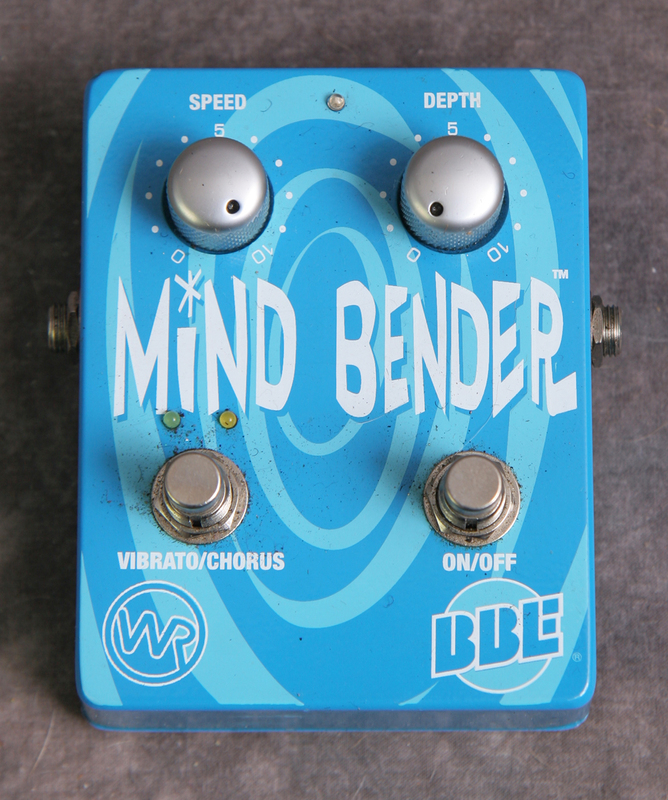 If you want a pedal that can make sounds ranging from the subtle, like a gentle pulsation, to the absolutely wild, like ray gun effects, check out the Mind Bender. No box.